Come join us for a family-oriented event! The Walk to Defeat ALS is the No. 1 way to empower yourself to lend support to those fighting and caring for someone living with ALS. Each year, nationwide, hundreds of thousands of people come together to raise funds to support care service programs and cutting-edge global research and to advance nationwide advocacy for people with ALS and their families. 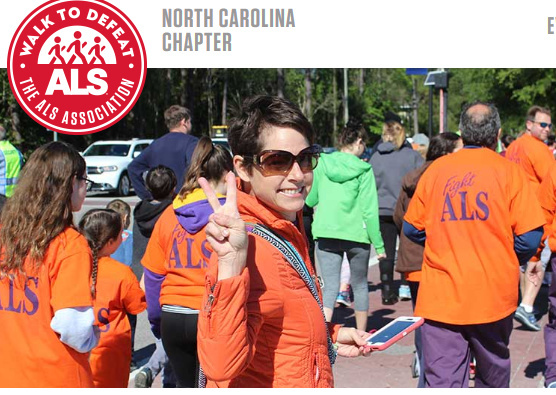 The money that we raise from the Walks in North Carolina enables us to provide care services for nearly 800 North Carolinians living with ALS and their families each year free of charge.